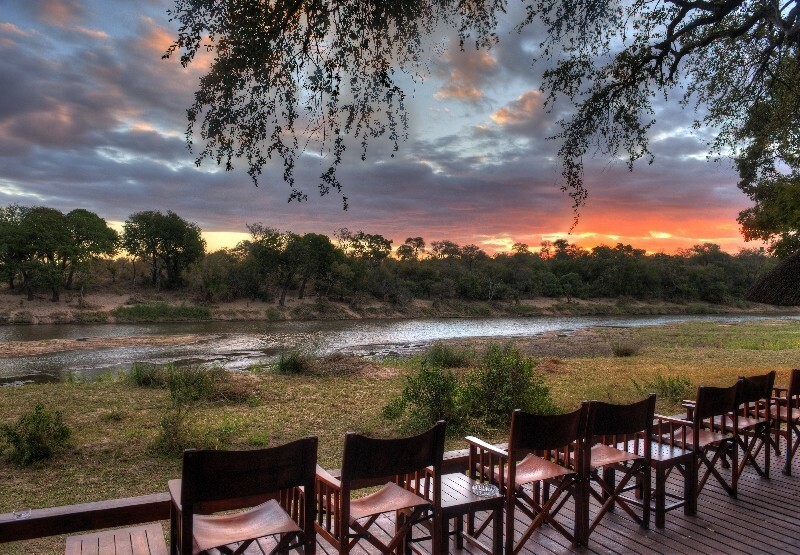 15 Luxurious nights spent on a romantic Cape Town and Sabi Sand honeymoon. 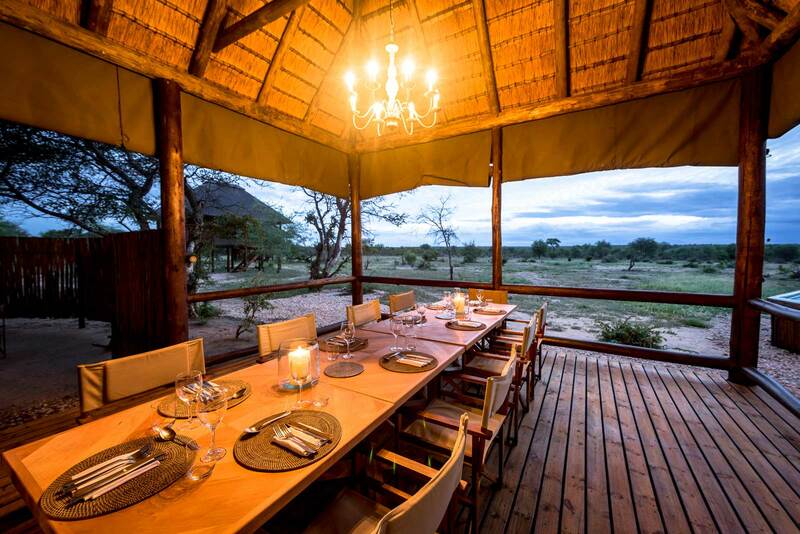 Guests will enjoy the Cape winelands, stunning beaches and the famous Table Mountain before heading to the Kruger where they will be treated to prestigious Sabi Sand accommodation and game-viewing. 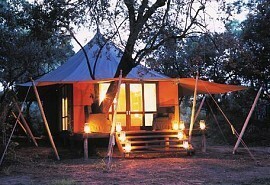 This 15 night luxury, romantic safari begins in Cape Town, the Mother City. Honeymooning guests are invited to experience all that this coastal, mountainous city has to offer during the week-long period they will spend here at the unique Welgelegen Boutique Guesthouse. The second half of this fantastic itinerary takes guests to South Africa's famous Kruger National Park where they will be treated to luxury at the exclusive Sabi Sand Reserve. 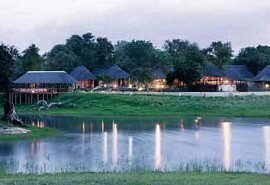 Four nights at Chitwa Chitwa and 3 at Lion Sands Ivory Lodge will ensure the ultimate honeymoon in the African bush. 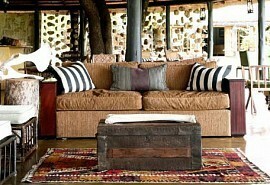 Both lodges are ultra-luxurious and aim high to provide the best experience possible. 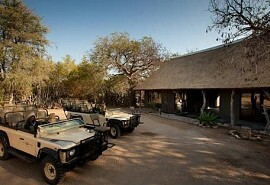 A predator-rich area, guests can expect to see lions and some of the best leopard sightings in the world. From US$ 8 400 per person sharing. On arrival at Johannesburg's OR Tambo International Airport, guests will be transported via complimentary shuttle service to the nearby Peermont Metcourt at Emporer's Palace Hotel. It offers a modern and comfortable selection of rooms located ideally near to the airport making it a convenient overnight destination for guests spending a night in this bustling city in between safaris. The hotel is complimented by a private and sheltered pool terrace, set in a beautiful garden, providing guests with food and beverage service throughout the day. Guests spend one night here at the Peermont Metcourt. After an early start in Johannesburg, guests are transferred via shuttle to OR Tambo International airport in time for their flight to Cape Town. After the short 2 hour flight, guests will land in Cape Town and be road transferred to Welgelegen Boutique Guesthouse in the central suburb of Gardens. This is where guests will spend 7 glorious nights while they explore Cape Town and the famous winelands, as well as, having the option to climb table mountain, walk on the beautiful blue-flag beaches, embark on fascinating bus tours highlighting the history and beauty of this coastal city. A real honeymoon destination, guests at Welgelegen will be lulled by the comforting touches; candles, natural Rooibos bath products and towelling dressing gowns in each bathroom, home-made biscuits, complimentary port and huge inviting armchairs in each room. After a week spent in stunning Cape Town, guests can prepare for the safari adventure portion of their tailor-made honeymoon. An early rise at Welgelegen Guesthouse will take guests, via road, back to Cape Town International Airport where they will board their flights to Nelspruit Airport in Mpumalanga. From this domestic airport, guests will travel by road to Chitwa Chitwa Game Lodge in the Sabi Sand Reserve in the Kruger Park (2.5 hour drive) where they will spend their first 4 nights on safari. The cottages at Chitwa Chitwa Game Lodge are thatched, small and intimate and the lodge can accommodate a maximum of 12 guests in 6 luxurious ensuite chalets. All the cottages have outside showers, private viewing decks and plunge pools. The Lodge is known for its excellent cuisine and the honeymoon suite is superb, offering the ultimate in safari luxury and privacy. The 13th morning guests will embark on a 2 hour drive from Chitwa Chitwa in the south to Lion Sands Ivory Lodge in the north. 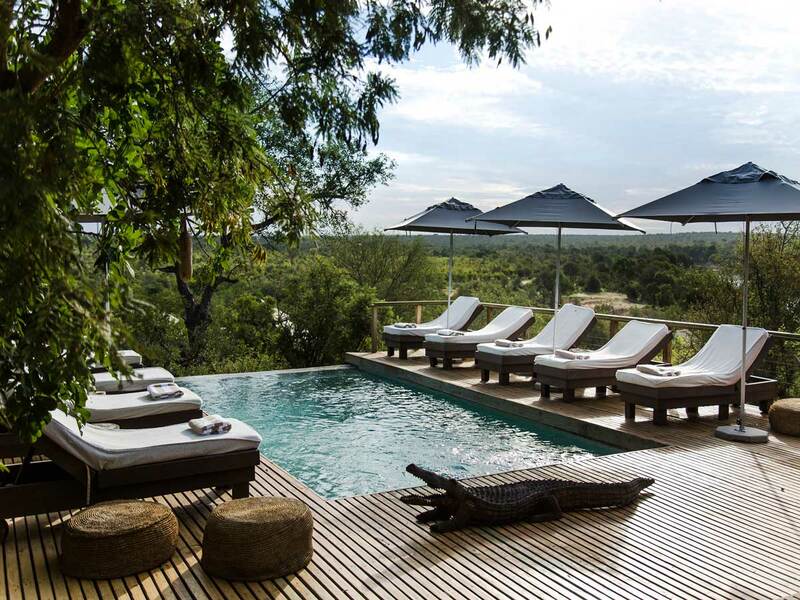 The luxurious Lion Sands Ivory Lodge is situated in the Lion Sands Private Game Reserve located in the Sabi Sand, which is an area well known for its spectacular predator viewing. 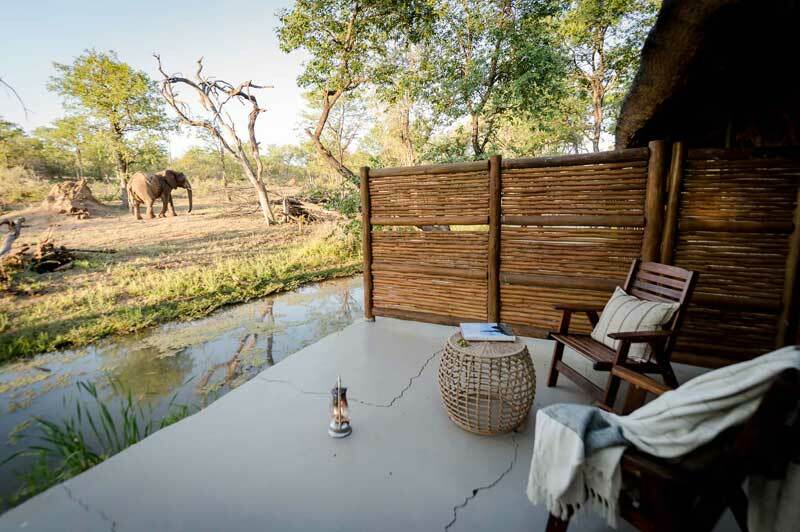 The ultra-luxurious lodge offers such personalised service that honeymooning guests may enjoy the sense of being the only guests at the lodge. 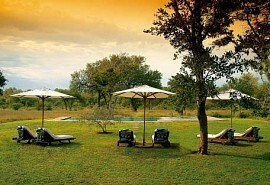 Private dinners, spa treatments and complete relaxation are on the cards at Lion Sands. 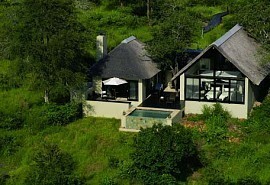 The luxurious suites have private courtyards, a lounge with a fireplace, a viewing deck and a private swimming pool. Perfect decadence for the last 3 nights in the Kruger National Park. 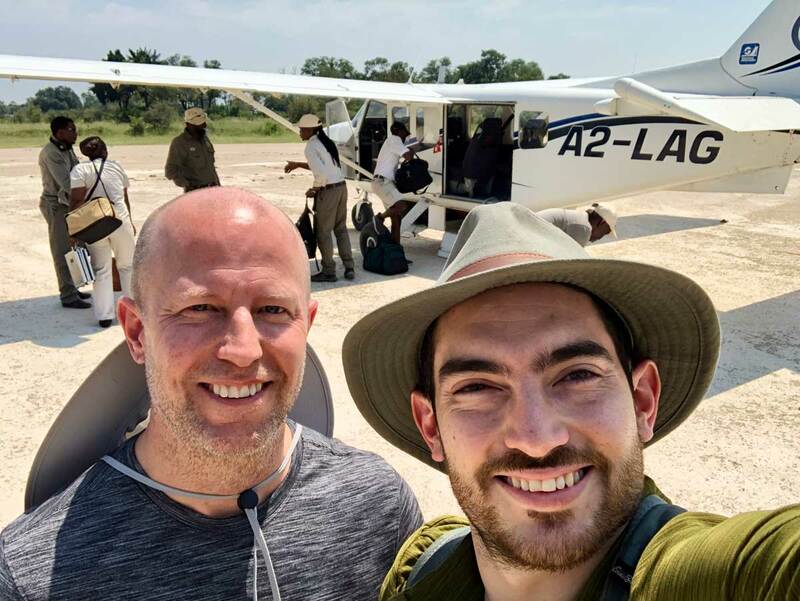 After 3 final nights in the Kruger National Park, guests are road transferred from the Sabi Sand to Nelspruit Airport from where they will catch a short domestic flight to Johannesburg Airport in time for independent onward travel arrangements.